Yes. 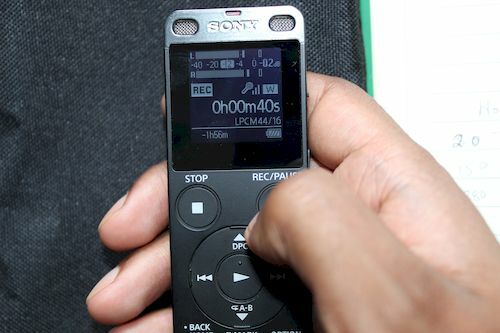 The Sony ICD-ux560 does come with a voice activation feature, though it’s labeled as Voice Operated Recording (VOR). This is a feature that I rarely used, but I’ve been looking for ways to use my Sony ICD-ux560 a lot more and decided to try it out. I’m not going to share why I decided to use the VOR feature – it’s rather embarrassing, but I was disappointed with the results. How does voice activation feature work? The voice activated (VOR) feature enables the ux560 to automatically starts recording when a sound louder than a preset voice activation level is detected, and automatically pauses recording when the sound volume level falls. 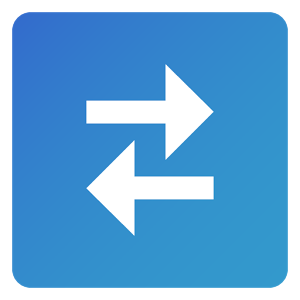 You can use this feature to automatically omit unneeded quiet segments when recording (such as long silences during lectures), saving memory. By default the voice activated mode is deactivated (for good reason) on the Sony ICD-ux560, and you will need to turn it on. From the main menu scroll to Settings > Select Recording. In the Recording setting Menu, scroll down and select VOR. 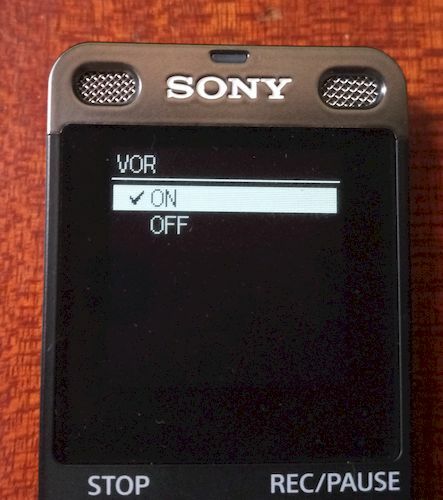 In the VOR menu, set it to ON; by default VOR is set to OFF. 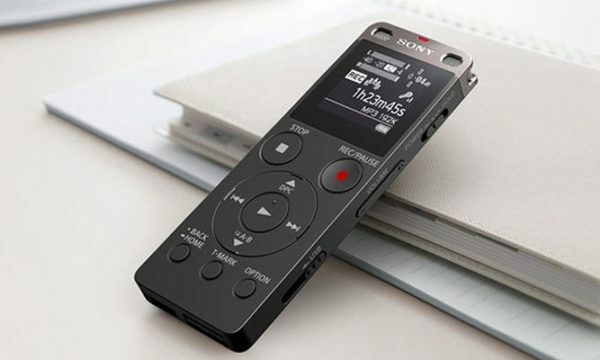 Now, the Sony ICD-ux560 does not allow you to manually set the sensitivity setting for voice activation or the input delay time – features that you can find on other voice recorders. Instead, it automatically uses the mic sensitivity settings that you’ve have set, as a template for voice activation, and the input delay time is set to about 2 seconds. From my experience using the VOR feature, the Sony ICD-ux560 is set to automatically start recording when the sound input is greater than -20dB and stop recording when the sound input is lower than -20dB. The first tip is to set the mic sensitivity setting to Auto or High (Wide) so that quieter sounds can activate the start of the recording. But note that you will capture a lot of background noise when you use such a high mic sensitivity setting. The second tip is to place the recorder as close to the source of the sound as possible. 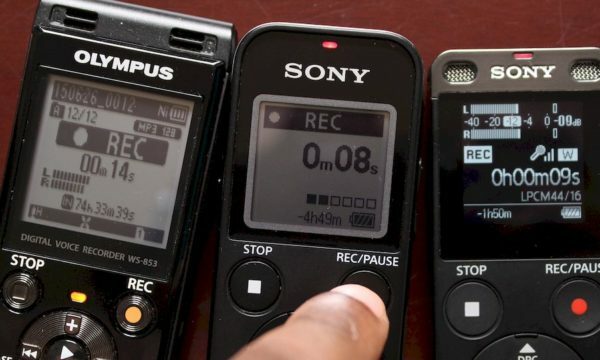 Because then you can use a lower mic sensitivity setting, the recorder will be activated more accurately, and you’ll capture less unwanted sounds. My final tip is to test the VOR feature before you use it. 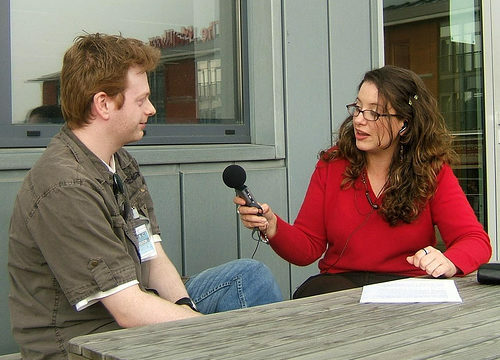 If the recording is important, make sure that the recorder is being activated. Use the peak meters to ensure the source sound is louder than -20dB. As I said, I was disappointed with the voice activation feature on the Sony ICD-ux560. It couldn’t get it to work optimally. I was either always activated (when I used the Auto/High sensitivity setting) or never activated (whenever I used the Medium or Low mic sensitivity setting). My Olympus-823, which allows me to set the voice activation level (to as low as -42dB and as high as -6dB) is a far better recorder for voice activated recording.